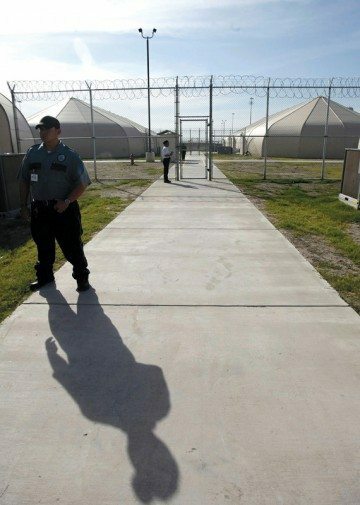 I have been researching Operation Streamline and the private prison industry for several years now. This is by far the best researched, thorough, and devastating treatment of these issues I have found. The Texas Observer deals with issues the mainstream media wouldn’t think of touching. In 1999, a packet of information from Lili Ibara of Friends of Justice sparked a 16-page investigative piece on the Tulia drug sting. Nate Blakeslee’s article did what the New York Times and the Washington Post can’t afford to do–it told the story from the perspective of the poor black folks who had been directly impacted by a bogus narcotics operation. It told the truth as it can only be seen from the bottom looking up. This piece is just as good. 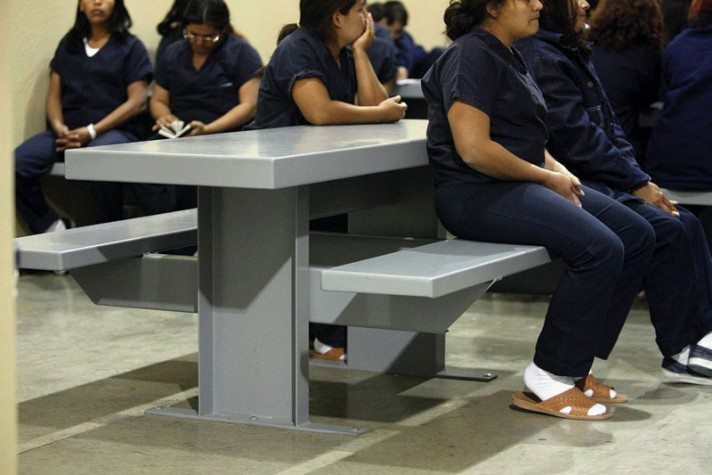 Immigrant female detainees inside their holding cell of the Willacy County Immigration Detention Center in Raymondville. Days after Rios provided the bank with a home address and Social Security number, Immigration and Customs Enforcement (ICE) agents showed up at his house looking for him. (Rios said ICE agents later told him that Bank of America, which has acknowledged a policy of reporting undocumented immigrants to immigration officials, turned him in.) Rios wasn’t home. His wife, a pretty, sad-eyed woman of 38, answered the door. Just pathetic. Our “Prince of Pot” Marc Emery, extradited to the US for selling marijuana seeds through the mail from Canada, a crime in the States, was incarcerated with the criminal aliens in a facility run by one of the private prison corporations where he caught the staph. aureus infection that nearly took his leg. While it’s a very long way from Canada, the BOP facilty in Georgia he is serving time in now is a far cry from that private “concentration camp” as he called it.